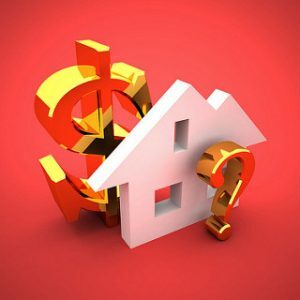 Mortgage lending may not be in the spotlight in 2015 to the same degree it was a few years ago, but it remains an important element of our economy and mortgage fraud was partially responsible for the recession that rocked the globe in the first decade of the millennium. Although many associate the False Claims Act (“FCA” or “the Act”) with health care fraud, its reach is much broader and includes certain forms of mortgage fraud. When banks grant federally insured/guaranteed mortgages that do not meet program requirements and the government has to pay out money due to a default, an FCA suit can be appropriate. As with other FCA claims, private citizens can play an important role in these actions by sharing information about suspected fraud and partnering with our mortgage fraud whistleblower’s lawyer to hold financial institutions responsible for the consequences of granting risky loans. On June 1, the Justice Department (“DOJ”) issued a press release detailing a recent False Claims Act settlement in the mortgage fraud arena. As background, the press release explains that First Tennessee Bank (along with its affiliates and successors) participated in the FHA Direct Endorsement Lender (“DEL”) program from January 2006 through October 2008. Pursuant to the DEL program, neither the Federal Housing Administration (“FHA”) nor the Department of Housing and Urban Development (“HUD”) reviewed program loans, instead relying on First Tennessee to follow program rules and self-report any deficiencies. According to admissions made by the bank as part of the settlement, First Tennessee repeatedly failed to comply with FHA requirements, certifying loans that did not meet HUD requirements. The bank further admitted that the quality of its underwriting declined as the quantity of FHA-insured mortgage loans it issued increased. By early 2008, the bank, again by its admissions, became aware that a significant number of its FHA loans failed to meet eligibility requirements. Still, despite a legal obligation, the bank did not self-report. The FHA suffered large losses when it had to pay insurance claims on hundreds of deficient mortgages. First Tennessee is far from the only financial institution that has faced FCA charges tied to federally insured mortgage loans. In fact, the mortgage and financial services arena accounted for the majority of funds recovered pursuant to the FCA in 2014. According to the DOJ, $3.1 billion of the $5.69 billion the federal government recovered via FCA settlements and judgments in 2014 came from banks and other financial institutions accused of wrongdoing tied to federally insured mortgages and loans. Overall, the total recovered from the financial industry pursuant to FCA claims between January 2009 and December 2014 is $4.65 billion. Notable 2014 cases included a $614 million settlement by JPMorgan Chase and a $1.8 billion settlement by Bank of America, both involving the underwriting and origination of allegedly non-compliant federally insured mortgages. There might have been a downturn regardless, but the widespread granting of risky, non-compliant mortgages was partially responsible for the occurrence and extent of the so-called “Great Recession” that is still being felt across the nation. Banks and financial institutions should be held accountable for their role in the economic crisis. FCA mortgage fraud suits can restore wrongfully diverted money to government programs that desperately need it while also sending a message to the industry that such actions will not be tolerated. Whistleblowers are critical to the success of these anti-fraud efforts. If you have specific knowledge about fraudulent actions (or inaction such as the failure to self-report) relating to federally insured mortgages, including FHA mortgage insurance, you can help. Call our mortgage fraud law firm to learn how you can help. Rewards are available for private citizens whose information leads to a recovery of government money.